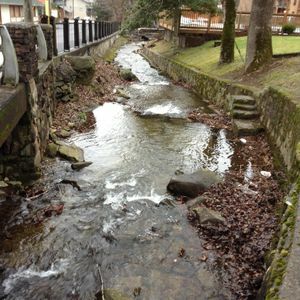 Are you looking for the perfect place for a romantic getaway near Gatlinburg? 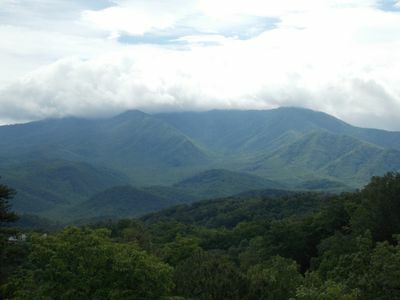 What about a week-long adventure in the smoky mountains with some friends? Maybe you want to take a vacation with your spouse and children. 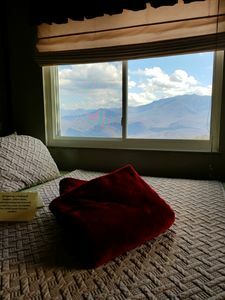 Pine Cone Peak is the perfect place for you to visit, kick back, and enjoy some time off. 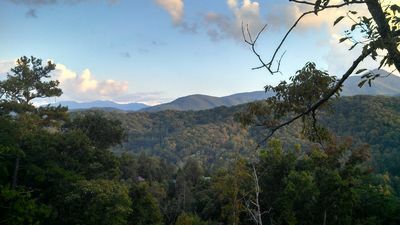 With plenty of things to do near downtown Gatlinburg Tn., great amenities, and wonderful views of the Smoky Mountains. 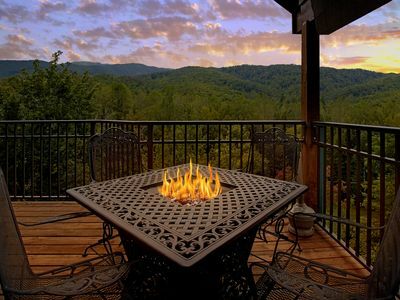 You won’t regret choosing this as your vacation retreat.The perfect place for a romantic getaway in Gatlinburg's Village of Cobbly Nob. Pine Cone Peak allows you to enjoy some time away from your hectic life. Whether you want to come as a couple for a secluded romantic vacation or bring the family and friends along. 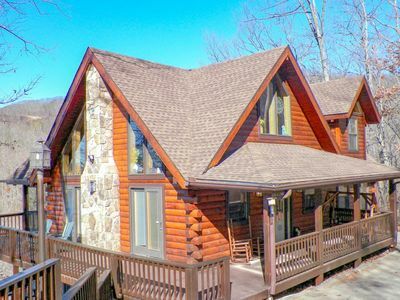 This 2 bedroom, 3 bathroom real log cabin near downtown Gatlinburg is the perfect place, as it sleeps up to eight guests! 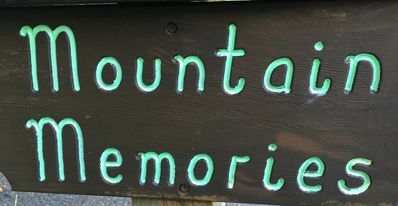 It’s only a 15 minute drive from Gatlinburg, so not only can you enjoy your own little piece of nature, but you can find things to do in Gatlinburg Tn. for some great fun! 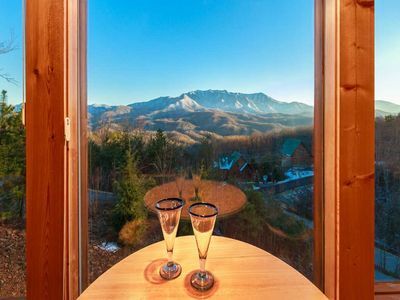 Secluded Romantic Vacation Cabin in Gatlinburg Tn. 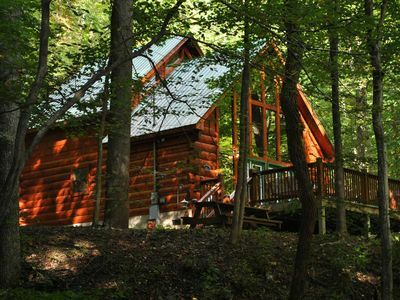 Pine Cone Peak is three levels, and each one has its own unique features that make this real log cabin into a real home away from home. The living room which has vaulted wood ceilings is a great place to gather and discuss the days schedule or just enjoy each other’s company. There is another great room to gather in downstairs, set up as a game room for those of you who enjoy the indoor type activities. 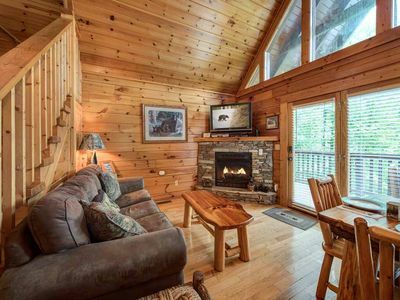 There are huge windows when you first enter this real log cabin, and plenty of seating for you and everyone joining you! 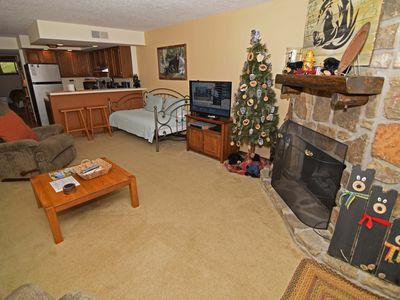 Enjoy the electric fireplace after a long day of skiing at Ober Gatlinburg, hiking in the smokies, shopping, or simply relaxing in this beautiful upscale cabin. The kitchen is huge and fully equipped, so you can make whatever meal strikes your fancy. Of course, there are plenty of restaurants in downtown Gatlinburg to check out too, but sometimes a home cooked meal just hits the right spot! 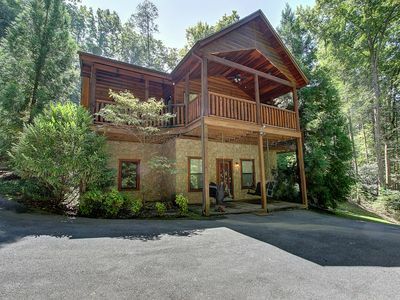 The entry level of this secluded romantic vacation cabin has a private king size bedroom suite with lovely bedroom furniture and a private bathroom. Upstairs is an open loft that looks down on the living area. It includes a queen size sofa sleeper. 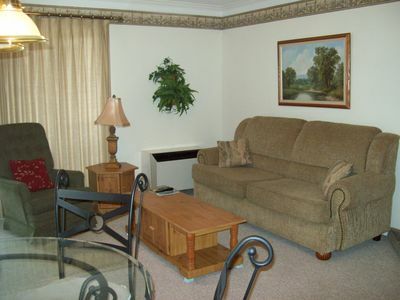 The upstairs level also has a beautifully furnished king size bedroom suite with an attached bath. 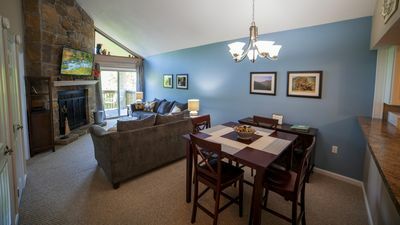 Downstairs, you will find the open sitting room that doubles as the game room. There are televisions, high-speed Internet, and even a regulation pool table! The couch in this sitting area also opens up into a queen sized sofa sleeper. 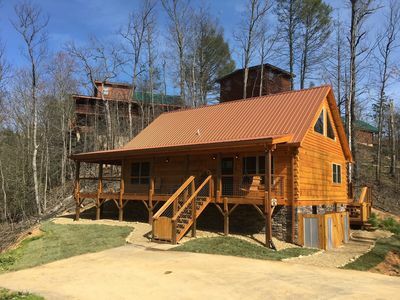 There is a washer and dryer included in this real log cabin for you to keep your linens crisp and clean like they were the first day you checked in, and you never have to worry about running out of clean towels! 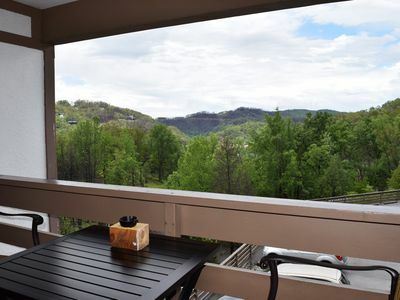 Just in case you need something to do besides enjoy the view of the beautiful Great Smoky Mountains, you have access to public swimming pools, and you’re near both tennis and golf. 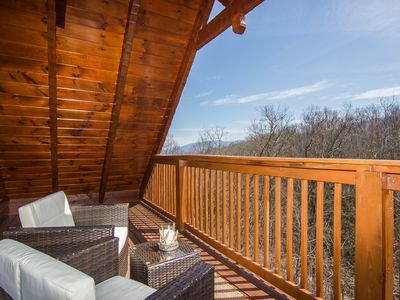 If you're looking to find a secluded romantic vacation cabin in Gatlinburg Tn., you need to reserve Pine Cone Peak now before its booked by someone else. Relax with a View, Private WiFi, and a Cup of Coffee! Across the road from the National Park boundary! 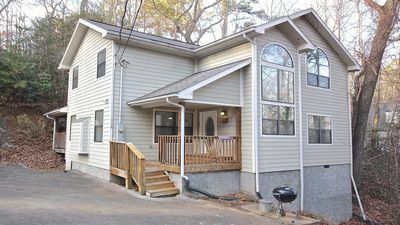 1.8 miles from downtown! BEARY AWESOME MAY 14-25 OPEN DUE TO CANCELLATION, BEST VIEWS IN BBF, .REDUCED!! 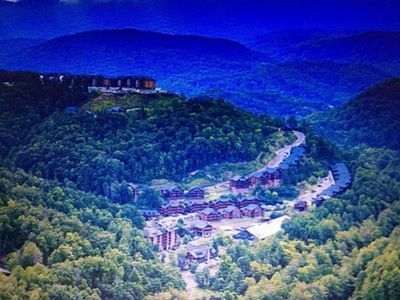 Large Cabin With Everything You Want Near Gatlinburg. . . .
Clean Condo. Free Parking, Walk to Pkwy Shopping & Aquarium! 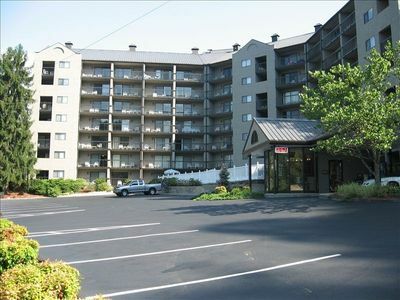 Beautiful 3 bedroom condo only a half a mile from downtown near Aquarium. 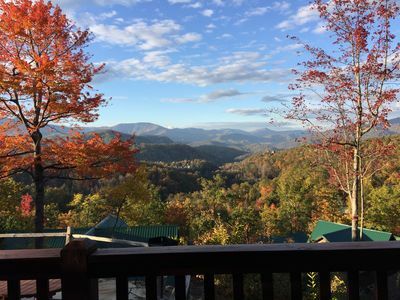 Beautiful Views from this 1 Bedroom Luxury Cabin!